Remodeling historic structures revitalizes communities and turns eye sores into fantastic new living spaces. The same is true of in-use multifamily apartment and condos throughout the United States. 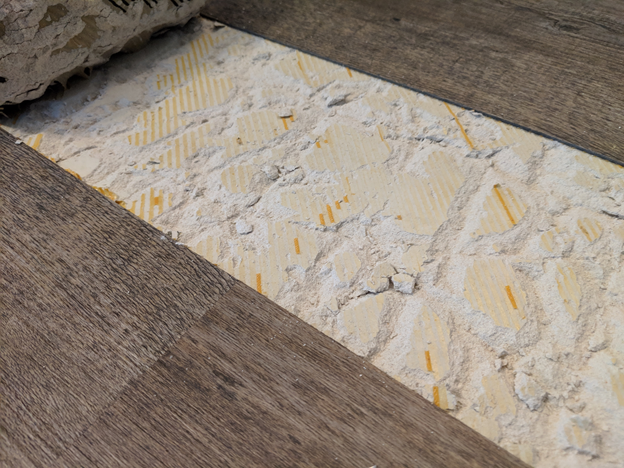 The first step to remodeling any apartment, or multifamily unit, is to renovate the flooring, which unfortunately can present a daunting challenge due to compromised gypsum substrates. The situation becomes more common every year: old gypsum poured years ago in need of repair or replacement. Unfortunately, gypsum concrete represents quite a different challenge than old wood and concrete substrates and requires unique solutions. Dependable understands gypsum at a bone deep level; it’s who we are and in our blood. We encounter the pictured substrate daily and know exactly how to treat dilapidated gypsum concrete. Dusty gypsum substrates are no problem to fix, the trick is choosing the right products for the scenario. For old gypsum, Dependable recommends our Primer A consolidating acrylic primer, and our Skimflow® LCB (Liquid Cement Board). The first step is to consolidate the dusty gypsum slab into a suitable substrate. Dependable engineered Primer A for this application. When faced with old gypsum slabs, Dependable recommends you first dilute the primer, and apply several coats. Always dilute Primer A significantly for the first coat, occasionally as high as 10 parts water to 1-part primer. Always apply a second coat of primer; if the first coat eliminated the dusting problem, you can prime the slab again at full strength. If the slab remains dusty continue to apply diluted Primer A until the slab is smooth and contaminant free. Once the floor is properly primed, it is ready for leveling and repair. Skimflow LCB is a high flow solution, reinforced with fibers to ensure structural integrity. Once LCB is dry, your floor is perfect for a new floor covering. Time. Repairing the gypsum greatly reduces to turn around time of the apartment. Skimflow LCB dries in a few days, or less, and requires less prep. A tear out requires expensive and lengthy prep, along with a minimum of fourteen days of dry time to allow new flooring. Cost. Gypsum concrete installations require a minimum of ¾” of material, which costs more in raw materials and labor. Regulations. Tearing out gypsum concrete is a dusty and laborious endeavor. This causes potential issues with respirable silica, along with disposal of the concrete. Dependable Floor Prep’s gypsum repair products offer superior, and speedy solutions to turning around multifamily apartments. These solutions offer both the safest methods to fixing gypsum floors, as well as the most cost effective. 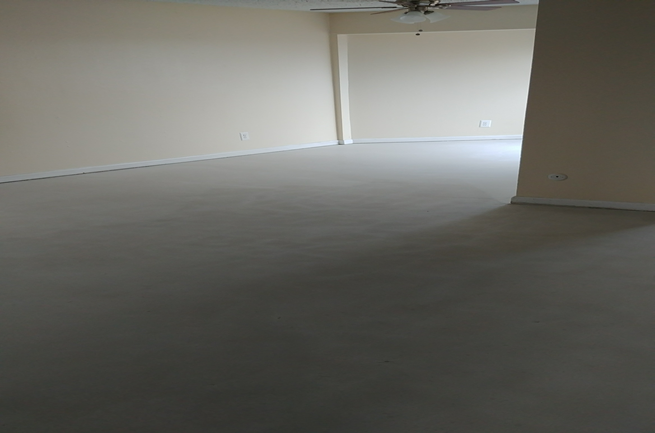 Compared to repairing and replacing gypsum concrete, and using other floor preparation products: Skimflow LCB & Primer A truly shines.